You may remember the review I did for the other Remover Gel by nail-aid about a month ago, where I was not impressed. Manna's Manis also did a review right around the same time, with the same result. Below is a long read, but well worth it for the details - here we go! Vi-Jon contacted me via email after reading my nail-aid remover gel review and offered to send a sample of their brand of Glitter Nail Polish Remover Gel for me to try. The package arrived super fast and the first difference I noticed is that it comes in a nice box and is in a tall bottle with a flip top cap. Definitely a space saver and I won't have to worry about getting the lid back on with remover gel all over my fingernails or having to leave it sit open until I'm done and risk evaporation. Very clever and convenient packaging! Ok, I thought. This is different or maybe they're trying to look different? See, I was still skeptical after my first experience. I'll try anything once though, well almost anything! To prep, I painted my thumb nail with the same exact Sindie Pop polish as used in the other review, two coats w/topcoat. I let it dry for about an hour so it was nice and firm/undentable. I squeezed a small amount of the Glitter remover gel onto my nail and then used a clean up brush to even it out across the nail. While I was doing this I smelled a very pleasant aroma and wondered where it was coming from. It was the gel!! It smells like yummy coconuts on a hot summer day! I had totally expected a chemical smell because it contains acetone, but it also contains coconut oil! Love me some coconut oil, it's such a great moisturizer, hair mask, cleanser, well it's great and will actually be moisturizing while this stuff is on. I'm good with that! I proceeded to smooth the remover gel over the nail to get a good thick layer of coverage, about the same amount as what I had used in the other review. The gel feels slightly cold on the nail but it's not unbearable and didn't bother me. The instructions on the bottle say to wait only two minutes and then remove but....I wanted to do it exactly like the other test so I set the timer and waited a full four minutes and then removed it. And it actually removed it all in one swipe! This thing works! Will ya look at that? And here I had lost hope of having a viable alternative to foil and cotton/felt method. And look at my skin! Also, if you really wanted to skip the hand washing with this product you could, but I'd advise to always wash after handling chemicals. After removal there is no sticky or gooey feeling. No flaky or dried out skin. This stuff is awesome! I already had three coats of a cream flakie on with two coats of topcoat. I topped that with Lynnderella's "It" Ghoul which is a very opaque microglitter packed with larger hex glitters. I could have just used one coat but, nope. Let's raise the bar and use two! And we'll top it with Gelous and Seche Vite too, cause we can. So what do we have now...EIGHT layers of polish that this gel will have to get through! Not only did the Glitter Remover Gel remove all of my polish but it did so in about three minutes! If you're not convinced yet - how about price point? I checked at my local Walmart store and it's only $2.97 which is quite a bit less than the other brand at $7. Vi-Jon is the largest manufacturer of Private Label Personal Care, Health, & Hygiene in the United States. In the category of Nail Polish Remover, Vi-Jon produces over 85% of all polish removers sold in the United States. They know what they're doing and have impressed me with their product! 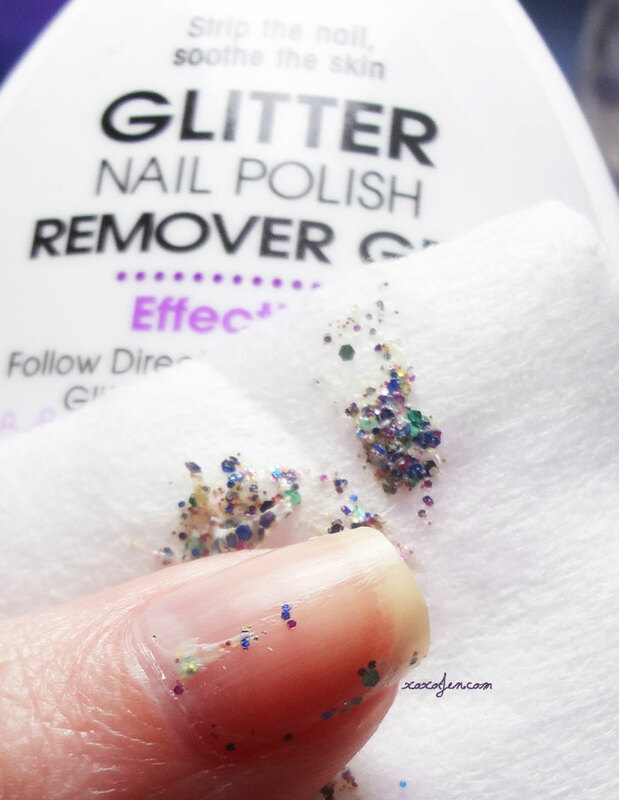 Don't forget to check out Manna's review on the Vi-Jon Glitter Nail Polish Remover Gel - she's doing some comparisons as well! LOL right? Had to see what it was made of! 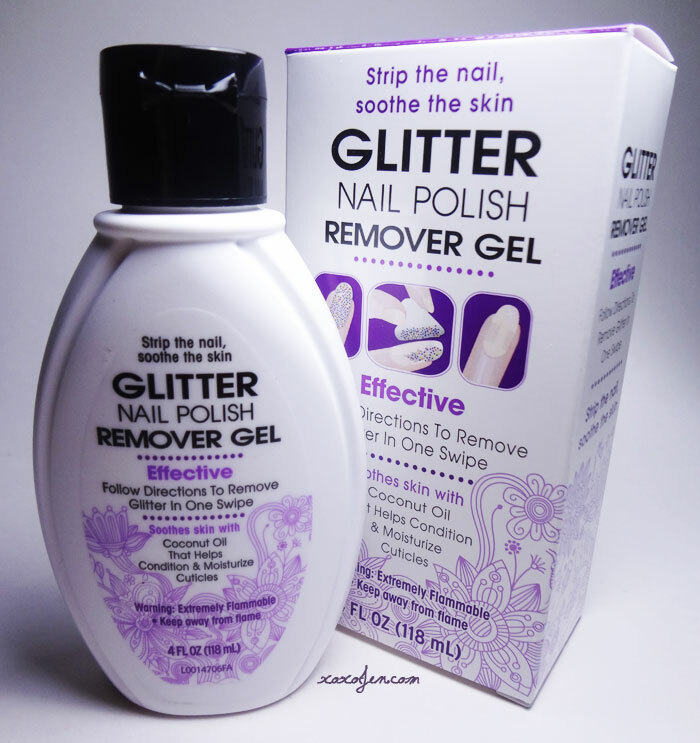 It seems to work really well in removing your glitter. 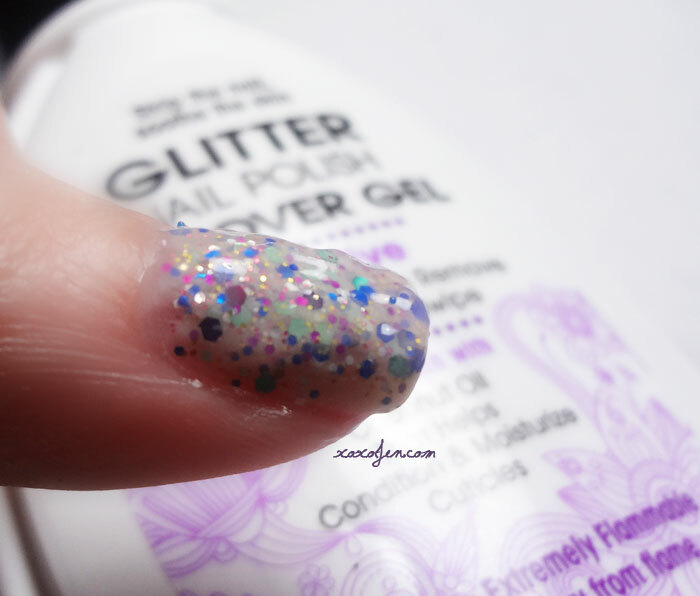 So awesome to see that you found a better way in removing those stubborn glitter polishes. It did! I'm quite pleased with it! Thanks Lisa! Awesome review, I'll definitely be checking this out! Aw! Don't lose hope though, often times when a product starts in one country it makes it's way to others. Here's to hoping! Wow! I'll be trying it soon. Thanks for the review! I'll have to pick this up, I might wear my pretty glitters more often! Right? I was thinking that very thing too! pft!!! Jenna, you're in too much lust with your AV jar to give that up! Dang! Glad to see the concept actually does work in the right formulation. :D Yes! I'm quite pleased with this one. Forgive me if I missed the link somewhere (it's late and I am tired) but is it available to order anywhere on line? Or just at Wal-Mart in the US?